Marguerite Abouet was born in Abidjan, Ivory Coast in 1971, and sent to study in France at the age of 12, under the care of a great uncle. She now lives in a suburb of Paris, and remains closely connected to the country of her birth. 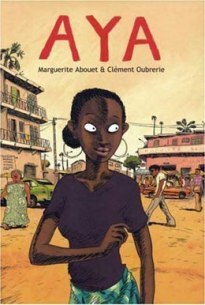 Aya, her graphic novel series, taps into Abouet’s childhood memories of Ivory Coast in the 1970s, a prosperous, promising time in that country’s history. 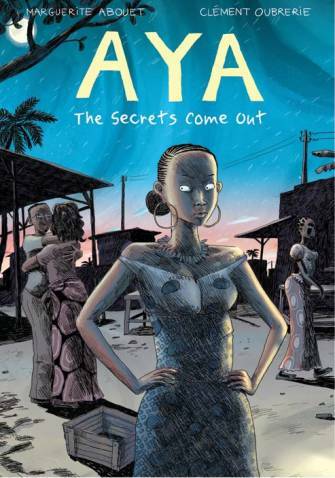 The Aya books tell an unpretentious and gently humorous story of an Africa we rarely see–spirited, hopeful and resilient. I devoured the first three in the series in a couple of days — the stories are simultaneously sweet, fast-paced, and full of heart. Yopougon, or “Yop City” is populated with mothers, fathers, sisters, friends, lovers — it is a place we all know. With more than 300,000 copies sold, translations into 12 languages including English, a number of prizes and more from Aya and her friends on the way, one thing’s absolutely clear — Marguerite Abouet’s stories have struck a chord across the globe. You’ve mentioned in interviews that you felt a sort of liberation when you moved from novels to graphic novels. Can you talk a bit about that, and what most appealed to you as you started working in the graphic novel form? What inspired you? What were the surprises along the way? What do you see in graphic novels today that is exciting? Will you return to novels at some point? My writing process rests mainly on creating character portraits. I like to determine their psychology, to accompany them through a history, and my imagination is fed by their interactions. In addition, I am also very much at ease with dialogue, and this is why graphic novels came easily to me; the style is similar to theatre. It is enough for me to go to a place where I can settle into my world, with a coffee, at a park, on the subway, and to feel the world to live around me so that the inspiration comes. Everything inspires me: the street, a face, a situation, a sentence, a word, a behavior, the life in general inspires me. What interests me as an author is to create characters and to discover their motivations, what will push them to act in such and such manner. Now that I’ve explored the graphic novel form, I plan to return to the novel, which is in a certain way a more solitary activity, more cerebral, because it requires more concentration and isolation. The AYA stories, while they are ‘domestic’ in the sense that they focus on the daily lives of a community, and everyday things, are really thrilling. My mouth dropped open more than once when I got to the end of the first volume, and you do such a wonderful job of keeping the tension high through the rest. Can you tell us a bit about your writing process? How do you work out the structure of your stories? What aspect of storytelling most appeals to you? What’s the biggest challenge? I hope that I’m not disappointing anyone when I say that I do not plan my stories. I don’t really have a particular writing technique or method; I go by my instinct. As the story moves along, I become better and better acquainted with my characters, I am more and more at ease with them, and at the end of one moment it is the characters who guide me. I let them live, they evolve/move. I just try to adapt my story to the structure of the graphic novel while thinking of the page breaks, the number of boxes, etc..
Who are your favourite characters in the Aya series, and why? Which characters are more difficult to write? I love all my characters, the good and the bad ones, they’re all dear to me, but I am particularly sensitive to and inspired by the characters of Herve and Félicité, because they have nothing, only their determination. The books are also stunning. Can you tell us a bit about the collaboration between you and Clement Oubrerie (your husband)? What is that process like? In an author/illustrator collaboration, it is necessary for me to like his graphic style, his sensitivity, his colors, and vice versa — he must feel the same way about my work. I liked all of that about Clément Oubrerie. When I showed him my project, he appreciated it immediately and decided to take part. So we developed a method of working: I have a small drawing notebook (even though I cannot draw) where I write the text and make the first storyboards, then I read the entire story to him and then together we rework the storyboards in order to create a first draft of the book. We are particularly aware of the rhythm that the graphic novel format engenders. The stories are complex, and have so many characters, we try to facilitate reading by creating short vignettes of one or just a few pages. What are your thoughts on the African literary tradition? Do you think that African cultures are misrepresented or under-represented? It should be said that the Francophone literary tradition was situated in a postcolonial context marked by questions of power/relationship conflicts between “traditional” cultures and “modern” cultures, between Africa of yesterday (corresponding more or less to a mythical image) and contemporary Africa with its crises and its upheavals. The main novels that characterize this period are of course Les Soleils des Indépendances by my Ivorian compatriot Amadou Kourouma, Le Pauvre Christ de Bomba by Cameronian Mongo Béti, or Things Fall Apart by Nigerian author Chinua Achebe. The previous period was really concerned with affirming the humanity of Black people, and a newfound appreciation for African cultures! It was the trend known as Négritude, popularized by Senghor and Césaire. This literature was at the forefront of the African Présence movement that began in 1947. It’s not up me to judge what would or would not be authentically African. Are there authors who bring a certain freshness, a new vitality to the canon? The answer is yes. Many efforts are being made in this direction. Gallimard is a publisher that I know well; this year they are bringing us “Continents Noirs”, an original collection of 70 titles and 35 authors. We’ll also see more progress when the Bayou collection publishes “Aya de Yopougon”, the Témoins collection (which includes the 2006 account of a young farmer from the Ivory Coast, Gbahi Kouakou, “Le Peuple N’aime Pas Le Peuple”), and with more widespread publication by houses like Gallimard so as to avoid the risk of literary ghettos. I know that you’ve made special efforts to bring your books to the Ivory Coast. Can you tell us about that, and how those projects came about? I am committed not only to promoting a more positive image of Africa outside of the continent, but also to act on the ground. I founded the association “Des Livres Pour Tous”, which supports literacy education of children in disadvantaged districts in Africa. We began by opening a library in a district in Abidjan and then in 2010 we will move on to Dakar and many other African capitals. In these reading centers, children who would not normally have access to books will be able to interact, to develop their reading and writing skills, to nourish and develop their imagination, to argue, exchange, and discuss books in ways that will open up their worlds. What were the ‘turning points’ for you as a young reader? What literature do you continue to treasure? What made you think? I have always treasured the stories that my maternal grandfather told me around the fire during the holidays in the village. All of those stories in our oral tradition were rich, imaginative accounts of mythology, wonderful tales. He taught me to pay attention to what occurred around me, to listen to the stories, and then become a storyteller. These stories of the Ivory Coast provided fertile ground for my imagination. Then when I arrived in Paris, I discovered the libraries and I started to devour all kinds of literature. The 4 girls of Doctor March, Agatha Christie, Conan Doyle, Jules Verne, Shakespeare, Maurice Leblanc, Jules Romain, Welles, were my favourites at that time. I loved to read mysteries and try to guess at the culprit in the first pages of the story. What can we look forward to seeing from you in the future? What are you working on now? A feature-length animated film adaptation of Aya is coming in 2011. “Akissi”, a collaboration with Mathieu Sapin. Akissi depicts the adventures of Aya’s younger sister, a real tomboy, in the Yopougon district. “Bienvenue”, a contemporary Parisian story with a white heroine, will be a part of the Bayou collection, and a collaboration with the artist Singeon. The last volume (No. 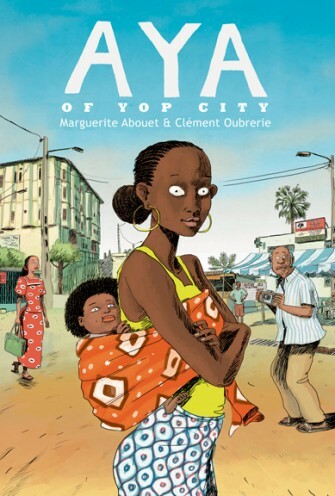 6) of Aya de Yopougon, and “Commissaire Kouamé” a police graphic novel with Clement Oubrerie, which will explore the life and methods of an African police chief. Thank you, Marguerite. We’re looking forward to all of it! Marguerite, thank you for bringing yet another perspective to YA literature. Your work with Des Livres Pour Tous is inspiring! Congratulations! Aya is great. I like that you just let your writing flow. This is great! I fell in love with AYA a couple of years back. It’s so nice to put a face with an incredible series. I only have the first book in the series, but plan to own the rest. I was struck by the art first (only because I’m an artist), but then I started reading it and the story completely opened my eyes to other representations of African life. A very strong book and I’m so pleased it’s getting the attention and propulsion it deserves. I am so excited to see another 28 Days Later feature and will be adding this author to my list to check out. These are really cute! I am always excited about new graphics, and these are REALLY new. Here’s hoping we see these soon! Thanks for highlighting this unique graphic novelist! May this feature bring increased awareness to Marguerite’s important literary offering! Wonderful interview! Thank you for introducing us to Marguerite’s great work. Look forward to reading Aya. I just ordered the third book for my school media center. If they’d stay put long enough, I could read them! I commend you in your efforts to promote a more positive image of African countries. Such a diverse, rich land! It’s mind boggling how things work. What a fantastic review! It’s so nice to see positive images of Africa in the media in the form of the Aya books. why I haven’t read these books yet, I have no idea but I will read them! And I’m so glad you’re working to put books into those who would not be able to afford them, that is so important and I can’t thank you enough for it. These sound really exciting! I’ll have to keep an eye out for them. Thanks for introducing me to the graphic novels and their author. Oh my, Marguerite is so beautiful inside and out. I want to read the AYA graphic novels! Thanks for the interview. Well done. Pingback: Friday Fun: Interviews Round-Up, 28 Days Later, Fela Kuti (African Music) « Multiculturalism Rocks! Thank you Maguerite! I can’t wait for the movie. I’m late, but glad I didn’t miss this amazing interview. 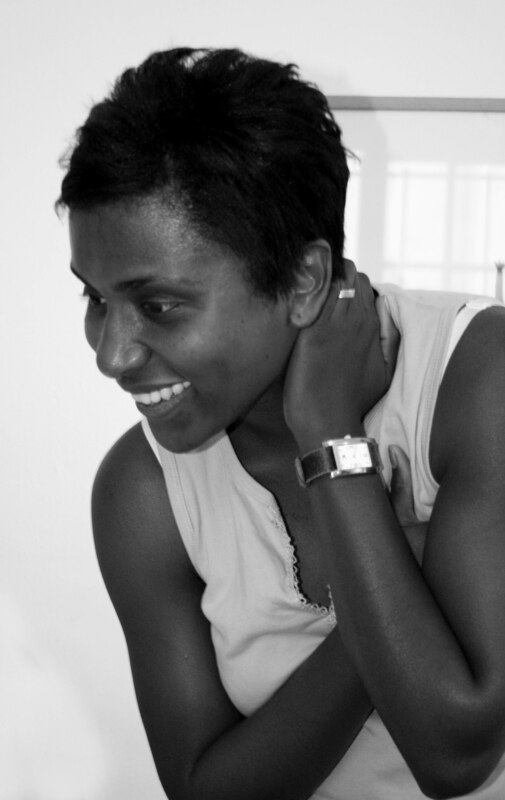 Thanks to BBS for shining a spotlight on literature in and about Africa–a region of the world that’s too often marginalized and/or misrepresented in children’s literature.